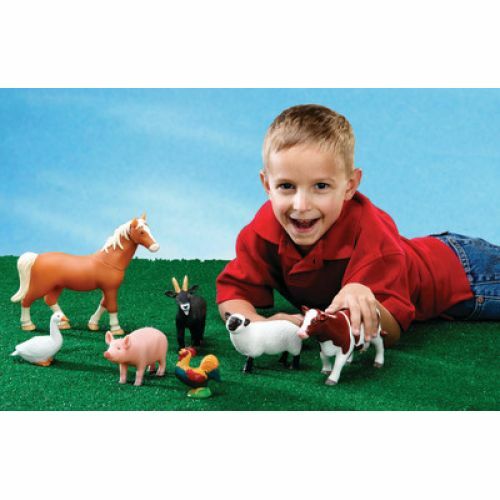 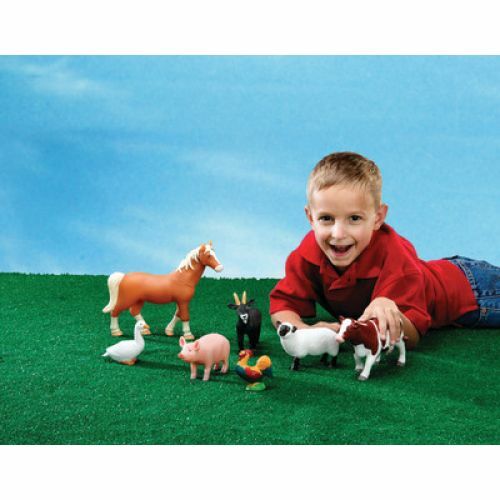 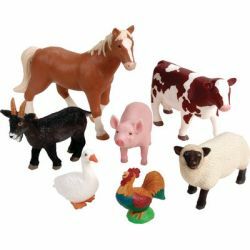 Jumbo farm animals designed for little hands and hours of imaginative play. Realistically detailed figures inspire independent or collaborative play while helping with vocabulary development. 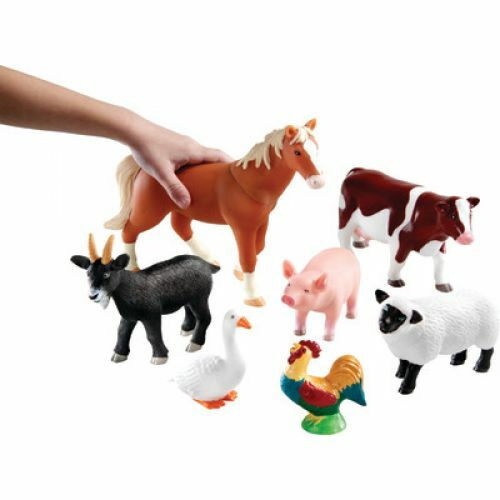 Made from durable, non-toxic plastic, each animal wipes clean easily. Activity guide includes facts about each animal and early science discussion starters.